This is a really cool Pink Psychedelic dog Bow Tie. 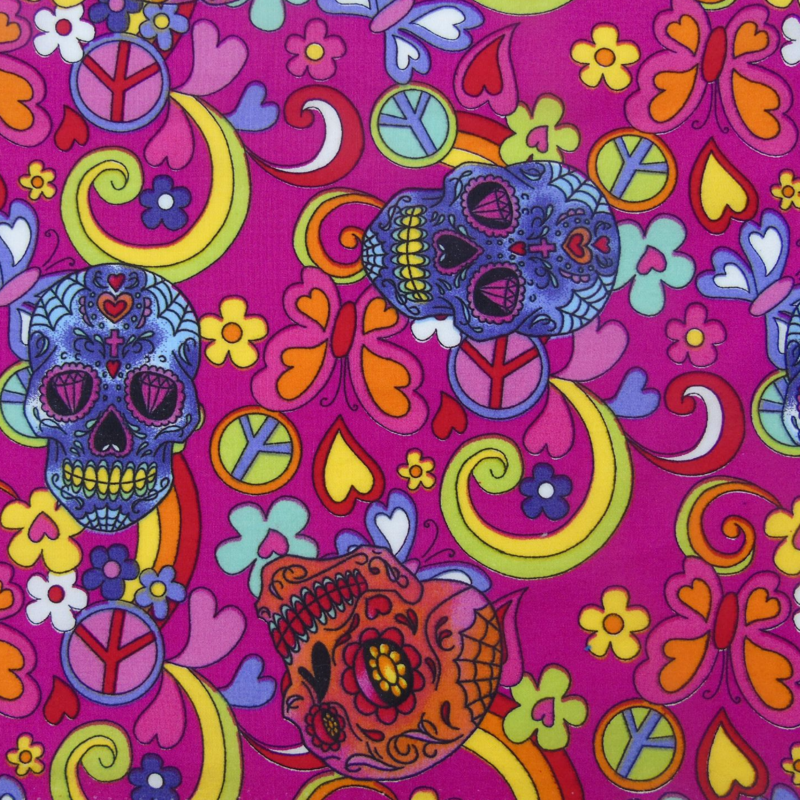 It's one of our best selling designs, having a totally awesome and colourful print incorporating all manner of bright colours against a background of bright cerise / pink - skulls, flowers, rainbows, butterflies - it's all going on in this beautiful design! This Bow Tie is perfect for festivals and holidays, but like all Dudiedog accessories it can be worn every day, whatever the occasion! Please note that this is quite a large print, so only a small part of the print will show in a Bow Tie.